According to the Supreme Court judgment, the basis for private companies is no longer mandatory. It is not mandatory for people to avail the services of private companies, digital mobile wallet, bank and telecom companies. However, telecom companies have not provided any provision for the Aadhaar de-linking at the moment. 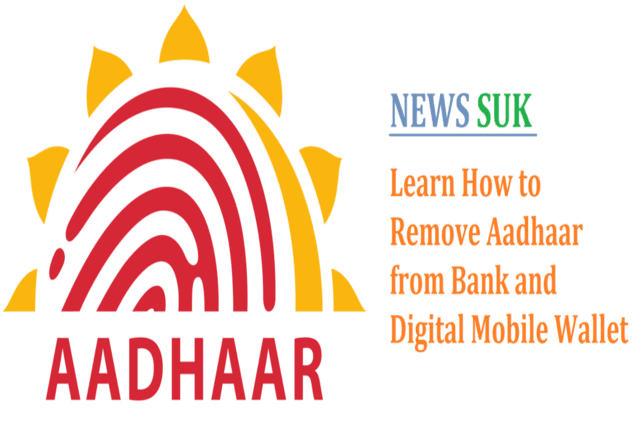 But for the digital mobile wallet and bank account people who had registered the Aadhaar and now want to remove them, these methods can prove to be workable. Some digital wallet companies have not yet given the option of d-linking their apps. It is expected that soon these companies will be able to provide these services only in the app. But, for this reason, you can d-link the Aadhaar in this manner. The company whose digital wallet you are using will have to call customer care. They have to ask them to send you an email related to the removal of the Aadhaar. You will have to give a copy of your Aadhaar when the e-mail comes from the company. After this, your Aadhaar will be removed from your account within 72 hours. At present, the bank account can not be debited from the bank account online. For this you have to go to the branch of the bank. There you will have to submit and fill the form with the formula. The Aadhaar will be linked to your account within 48 hours. Apart from this, if you want to de-link your Aadhaar from any organization, then for that the company has to write a letter regarding the removal of a Aadhaar. Aadhaard on this, the company will remove your Aadhaar details. However, it may take a few days too.